Owner of The Sanctuary, Psychic Medium, Reverend Amy Marino has become renowned for her integrity, compassion and accuracy when it comes to her Readings. You can expect an honest, down to Earth, in-depth reading and a real sense of connection to Spirit. Only information for the highest and best will be channeled through and always with the intention to heal, shift and uplift you. Whether you need clarity and direction, guidance about your Divine Life Purpose, help with a decision, information about your career or love life, a connection with lost Loved One, help connecting to and finding information about your Spirit Guides, Animal Guides and Angels, Past Life information, Soul Contracts, help finding missing items, solving mysteries or explaining psychic phenomenon you may be experiencing....Amy can help. Private mentoring is available as well. Amy is a Psychic Medium, Channel, Empath, Clairvoyant, Clairaudient, Clairsentient, Claircognizant, Healer and Angel Communicator. Amy is a Master Tarot Card Reader, Reiki Master Teacher, New Paradigm for Multi-Dimentional TransformationTM Practitioner, Lightarian AngelLinksTM Teacher, Lightarian RaysTM Teacher, Lightarian ClearingsTM Teacher and Crystal & Sound Therapist. Private & Group Readings, Phone Readings, Healing Sessions, Clearings, Classes, Attunements and Private Mentoring are all available to help you on your Spiritual Journey. ​ Find out why we maintain a 5 Star Rating on TripAdvisor, Facebook and Google! Mediumship Readings involve connecting and communicating with Your Loved Ones who have transitioned to the other side. Receiving messages from crossed-over Loved Ones can be profoundly healing on many levels. Our Spiritual Team and Loved Ones are always with us and are constantly sending us messages. Are you listening? Through our prayer and intention, your loved ones may be brought through with messages for you or other loved ones around you. It can bring great peace and relief knowing they are at peace, happy and with us. Many people are interested in learning who their Spirit Guides are and how to connect and communicate with them. 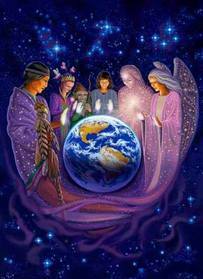 Spirit Guides have lived many lives here on this Earth plane in the past and have now developed their spiritual knowledge, understanding and vibration to the point of becoming Teachers and Guides for those Souls still attending learning journeys to this planet. Amy can bring through their wise guidance and council in regards to challenges you may be facing or direction needed on your spiritual journey. Learn the different types of Guides we have and who yours are. Amy will advise you how to continue to develop these relationships for your own spiritual growth and development. Tarot is an ancient form of divination. Using a deck of 78 cards, every card has its own unique vibration based on its ancient symbols, number, and name. You also have a unique vibration right this very moment based on everything you are thinking, feeling, and going through. By the law of attraction, and your intent, you will automatically be drawn to the cards that match your vibration. If you have a specific question or situation you want more information about, focus on that while you are drawing your cards. If you are unsure about what to ask or do not have a specific concern, simply ask "What's the most important thing I need to know right now?" Your Angels and Spirit Guides will take care of the rest. This reading is able to get to the heart of the matter and will bring forth the most specific information. Do you feel lost, disconnected and empty like you are simply going through the motions? Are you feeling unfulfilled with your career? Do you feel like you're supposed to be doing something else but you don’t know what? Many people are awakening to their Divine Life Purpose and searching for what will give them meaning in their lives or a way to be of Service to people, animals or the planet. If you are having repetitive thoughts or feeling a constant pushing or pulling towards a new direction, this reading may be just what you need to start you on a new path towards a higher purpose in alignment with your highest, best and fullest potential in this lifetime. Many times something we are experiencing now is connected to a past life we have lived before. ​It may involve a physical issue we are experiencing that has no logical root or that the Doctors cannot come up with an explanation for. It may involve a pattern of behavior or things that keep happening to us. It may involve complicated relationships with the people around us. All of these things can be results of old programs running in our etheric field, karma, soul contracts, vows we made or lessons that we haven't figured out yet and are here in this life time to master. Past life information can be gained through intention or spontaneously during a reading or Reiki session if it pertains to what is currently occurring. Many times by bringing it into the light, and acknowledging it, thanking it, blessing it, we can clear it. Or once we figure out the lesson and really "get it', it no longer shows up for us. Delving into our past can be immensely healing and enlightening changing our perception and opening new doorways for us in this lifetime. Angel and Oracle cards are another widely used and reliable form of divination. They also work off of the law of attraction matching your vibration and revealing answers about your energetic state of being and where you are going. Amy collects a vast array of Oracle Cards and the proper deck will tell Amy when it needs to come out with a message. Oracle cards are a fun and gentle way to read your energy, future, and receive messages. 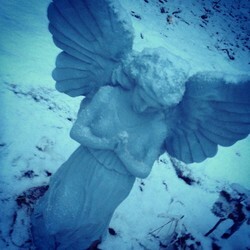 During an Angel Reading, Angel Cards will be used to receive messages from your Angelic team or other Angels Amy works closely with, such as Archangel Michael. This reading will shift and uplift you, bringing in the light of the Angel's higher perspective to shine upon your situation. Our animal guides are always with us. They are here supporting us energetically with what ever challenges or situation we are going through and bringing us messages. They are our faithful companions. They teach us lessons, they can bring us healing, guidance, and answers to our deepest questions. You may find that these animals have been showing up for you in real life in some way, recently or sometimes even your whole life. If there's a particular animal you are drawn to or have a collection of then chances are that's one of your Guides. In fact, you have a whole team of Animal Guides working with you. During an Animal Guide Reading Amy will connect with your Animal Guides as they choose to step forward with energy and messages. If you have always wondered who your Animal Guides are then this reading is for you. ​Psychometry is the ancient art of reading the energy from an object. Objects will carry a charge of energy, an imprint, if you will of the owner. Some pieces can act like a video recorder and can be played back via use of the psychic mind. Metal objects tend to hold information better, such as a ring or watch, but other items --such as hand written letters, sentimental pieces, clothing and even photos --can carry records of information that can be read. Results can vary from an impression or feeling to full blown remote viewing of a person, time, and place depending on how much information the piece is able to hold and the person intuiting the information. This type of tool is often used in psychic detective work. If you have an unsolved case that has hit a dead end, Amy may be able to help open up new avenues of questions and information. Please contact Amy for more information. This vibrational body exists everywhere in its wholeness and is completely available in all places. The Records contain all past,present, and future possibilities and are an experiential body of knowledge and compassion. Access to this profound source is through a sacred prayer. 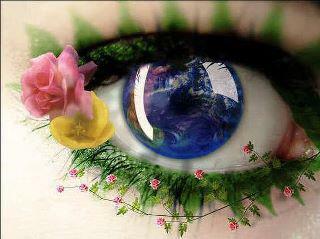 The soul's very essence and expression, potentials and purposes, can be revealed. Issues of the lifetime are brought to light from a spiritual perspective. Both favorable and difficult patterns that are present can be identified. Corrective measures required to establish harmony can be seen. If you have lost or stolen item or an unsolved mystery, Amy may be able to help. This can be done in person or remotely in some cases. The use of psychometry has proven successful in her psychic detective work, so any items connected to the situation may help reveal important information. If you have an unsolved case that has hit a dead end, Amy may be able to help open up new avenues of questions and information. Please contact Amy for more information. Amy offers Private & Group Readings, Phone Readings, Healing Sessions, and much more at her 3 x Award Winning Healing Center, The Sanctuary, in Barnstable Village, Cape Cod, MA. You can book a session by calling us at 508-362-8000 submitting a booking request below or purchase your Reading here and we will contact you within one business day to schedule a session at your earliest convenience. Please include if you are requesting a specific type of Reading and the best phone number to reach you. I look forward to connecting you with Spirit soon! Amy's Signature Reading 90 Mins. Amy Marino Reading 45 Mins. Amy Marino Reading 30 Mins. Amy's Signature Phone Reading 90 Mins. Amy Marino Phone Reading 45 Mins. Amy Marino Phone Reading 30 Mins. or call (508) 362-8000 to book your session over the phone. as well as your availability. *Prices are for one Client per Reading, additional Clients are $50 per person in the case of family members looking to connect with the same person in one Reading. *Earn 10% back on your Reading with our Rewards Program! is a Psychic Mediumship Reading usually done with out cards, it is pure channeling from Spirit. This reading gives us the time to go the deepest and may include connecting you with your Spirit Guides, mentoring, etheric cord cutting, spirit release work, energy clearing, sound therapy or other healing modalities such as Reiki to create the necessary shift needed based on what is revealed during the reading . If you feel stuck in life, unsure if you are on your right path, suffering empathically, want to delve into several past lives, connect with numerous loved ones or have many questions about various topics this is also the session for you. We can delve deep into shifting life situations, releasing old patterns, belief structures and get you moving forward in life again and on the path of your Divine Life Purpose. We will find the root of any issue then create a healing shift and a plan for you to take home so you can continue your spiritual health and forward momentum. For example, book Amy's Signature Reading for $222. When you spend another $28 on qualifying purchases in the store or on one of Amy's Classes or Sessions, automatically get a $25 credit towards anything at The Sanctuary including your next Reading! When's the last time your Psychic gave you money back? Think about what you are most hoping to get out of the Reading. A little intention goes a long way! Come with your questions. Think about if there are specific areas of your life you'd like to address or if you are more looking to make a connection with the other side. Prayers requesting your loved ones to join the Reading ahead of time can also help. With clear intent, we can have a focused, more productive Reading. Spirit will always guide the session so you get exactly what is needed. ​You should never leave a Psychic or Mediumship Reading feeling frightened, confused or ripped off. In a good reading, you should laugh, cry, gain clarity, be treated respectfully, have your specific questions answered and leave feeling better than when you arrived...Not because someone told you what you wanted to hear but because a genuine shift took place creating a space for healing and forward movement, what ever the topic may be. Stop settling for bad Readings with vague answers, identical readings given to multiple people, made up dead people you can't recognize and a feeling you just wasted your hard earned money. Experience the difference a REAL Reading can make in your life at our Award Winning Wellness Center. Readings are filled with compassion, integrity and authentic connections you can feel as owner, Psychic Medium Amy Marino skillfully navigates through your personalized Reading. Find out why The Sanctuary is Cape Cod Reader's Choice 3 years in a row with 5 Star Reviews on Facebook, TripAdvisor and Google! So top psychics and psychic mediums will generally cost between $100 and $350 for a one-hour reading. That’s the going rate as I write this (2011). As for psychics and psychic mediums who are famous in various degrees (authors or TV personalities), their rates can average from $300 to over $1000 for a one-hour reading.